Day 3 of spoilers. 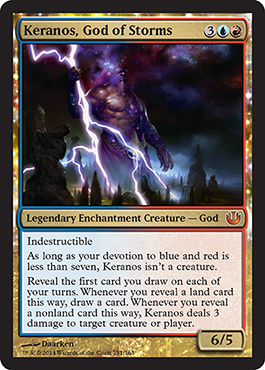 We already had Iroas spoiled and now we have Keranos, our one planeswalker for the set has been spoiled, and the last two scry lands have been revealed. Things are pretty good. 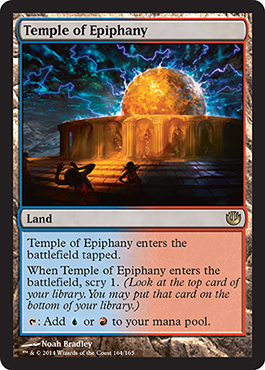 A 6/5 for five mana and when you reveal the first card you draw each turn, lands get you the opportunity to draw a second card and nonlands cause three damage to target a creature or player of your choice. Basic scrylands except in U/R and B/G. I like the art. FINALLY! We finally have at least one planeswalker for each dual color pair. 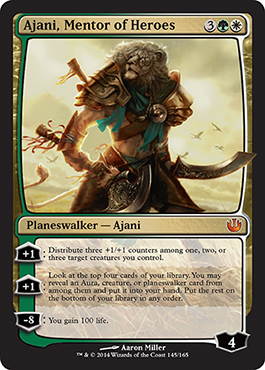 And Ajani distributes three +1/+1 counters for +1 loyalty, allows you to find an aura, creature, or planeswalker in the top four cards of your library and put it into your hand (the rest on the bottom of the library) for +1 loyalty as well (Like Elspeth, Knight-Errant, two +1 abilities spell A-W-E-S-O-M-E), and then -8 loyalty gains you 100 life. 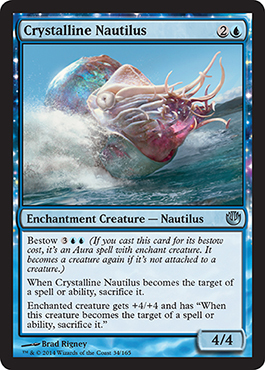 Use creatures to keep him alive by pumping them with +1/+1 counters, then take the opportunity to find more spells, and THEN after four turns, you gain 100 life if he took no damage. How could this go wrong in any way? I like it. 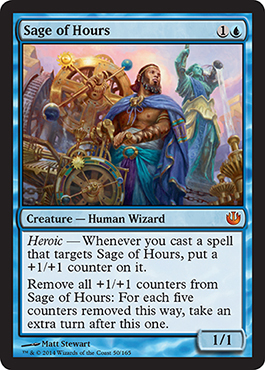 There shouldn't be any problem putting counters on this guy (doesn't have to be from Heroic triggers), but it seems like more of a Modern, Legacy, or EDH card to be honest. For some, weird, absurd reason, I want a pet nautilus. 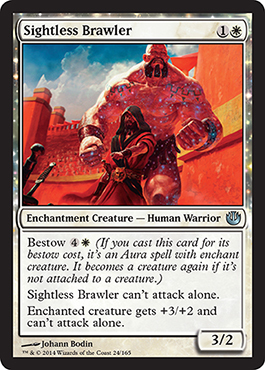 3 mana for a 4/4 is not bad but any spell targeting this guy or the creature it is bestowed to and you can say buy to you creatures. Ideal situation is put hexproof on a creature, then bestow after so it can't die so easily. A 3/2 for two mana that has to attack with a buddy. Not bad for Battalion triggers I suppose, and maybe whatever Huey is doing might include benefits for attacking en masse. We'll know soon enough. Last spoiler for now. A three mana 4/1 that blacks each turn if able. Hm... 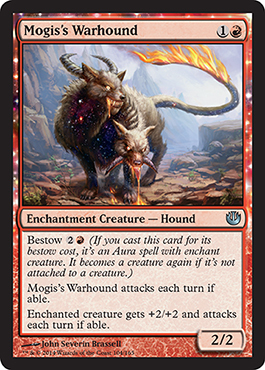 The opposite of Mogis's Warhound but very easily killed. 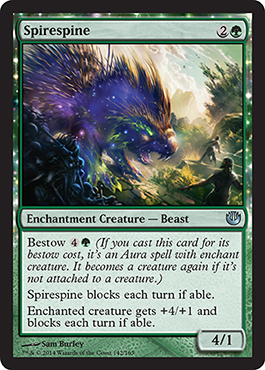 block one creature and Spirespine dies, unless it's bestowed, of course.